Please Sir, can I go to the toilet? This is a question you’ve no doubt have asked your teacher at least once today, and whilst you are lucky enough to have clean, functioning, flushing toilets, the children at Matandani School do not. In Ireland and in particular our school, we have one toilet for every 10 children, or as you might notice, two toilets per classroom. Here in Malawi though, the toilets are different. They aren’t flushing toilets, but pit latrines (basically a hole in the floor that leads to a tank below). Can you imagine what it would be like it we had holes in the ground for toilets? Because it’s a hole in the floor, the toilets cannot be within the classrooms so the children have to walk about 30-50 metres to go to the toilet blocks. At the moment there is a real shortage of toilets and it is a huge issue that needs addressing immediately. Not only are the toilets important, but the water taps to wash their hands are also essential. 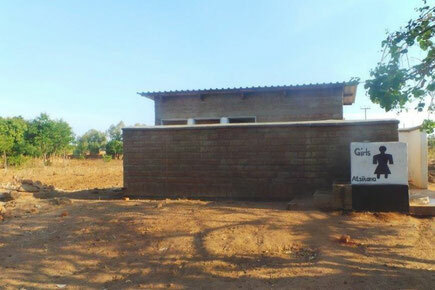 To build a toilet block we need €1,200. This will build four toilet cubicles, urinal and water tank for washing hands.